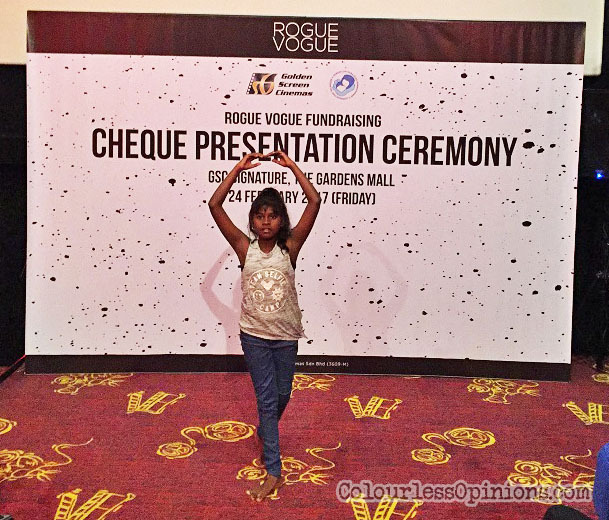 Rogue Vogue was a project by Golden Screen Cinemas (GSC) to raise fund for a charitable cause in support of the children from Persatuan Kebajikan Kanak-Kanak Cornerstone (child welfare association/charitable home). 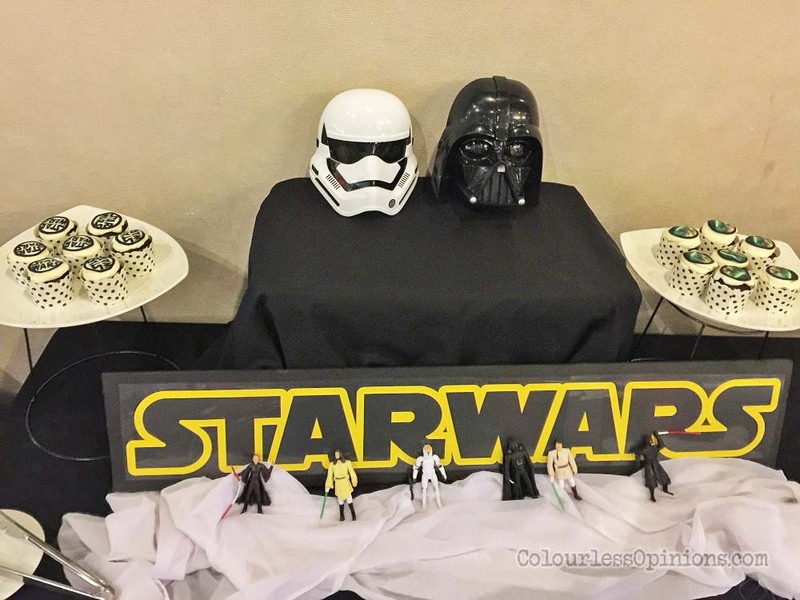 The project managed to raise RM30,000 from its specially designed limited edition Star Wars t-shirts that were sold with the Rogue One popcorn combo. “We would like to thank everyone who supported this meaningful cause. The fundraising project wouldn’t be a success without our customers and our partners. We hope this fund would contribute towards improving the lifestyle of the children at Persatuan Kebajikan Kanak-Kanak Cornerstone,” said Koh Mei Lee, CEO of Golden Screen Cinemas, shortly before handing the cheque of RM30,000 to Cornerstone. This cheque presentation ceremony was held on February 24th at GSC Signature, The Gardens KL. 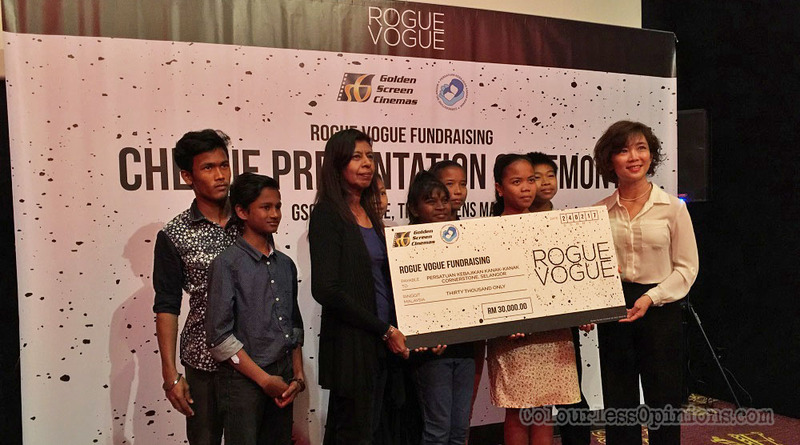 Besides Koh, the Chairperson of Persatuan Kebajikan Kanak-Kanak Cornerstone — Angie Retnam, was also present at the cheque presentation event along with some of the children of Cornerstone. The event ended with an upbeat dance performance by the children from the home itself. “We are operating the children’s home, but we cannot do it alone. We need people like you to be part of our mission and help us in running the home. Join hands with us. Help give these children a better future,” said Retnam. The limited edition t-shirts were inspired by Rogue One: A Star Wars Story-themed graffiti art. Kinda regret now for not getting one of those t-shirts when it was still available. Such a great cause. Well done, GSC!